LOGAN, Utah — Robert H. Campbell has been appointed president of Campbell Scientific, Inc., a manufacturer of electronic instruments, with headquarters in Logan, Utah. 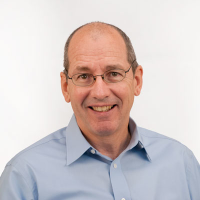 Rob has been the president of Juniper Systems, Inc., for the last 13 years. Juniper Systems, also located in Logan, manufactures rugged handheld computers, and is the largest subsidiary of Campbell Scientific. Rob took the reins at Campbell Scientific on 1 September 2015. 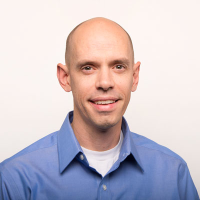 Replacing Rob as president of Juniper Systems is DeVon Labrum, who has worked at Juniper for 17 years, the last 4 as vice president of sales and marketing. Outgoing Campbell Scientific president Paul Campbell, who served for the past 23 years, was on Juniper Systems’ board during much of the time Rob was president there. He said, “I witnessed the development of Juniper Systems as it emerged into a profitable enterprise, and the concurrent personal development of Rob as president leading the way.” Paul Campbell will continue working for Campbell Scientific as a non-executive chairman of the board. Campbell Scientific employs 300 people in Logan, and Juniper Systems an additional 120. Campbell Scientific’s history of developing innovative products began in the 1970s, as one of the first to offer low-power, high-precision dataloggers for use in the field. To date, Campbell Scientific has manufactured more than 300,000 dataloggers. Campbell Scientific has a reputation as a worldwide leader in dataloggers, data-acquisition systems, and measurement and control products. To learn more about Campbell Scientific, Inc., or to ask questions of the company’s highly trained technical and sales support team, please visit www.campbellsci.com. For information about Juniper Systems, Inc., please visit www.junipersys.com.